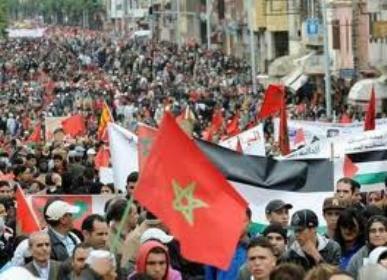 The new constitution, which will be submitted to a referendum on July 1, will place Morocco in the rank of the “most democratic and modern countries,” Chairman of the Hispano-Moroccan Studies Center Miguel Angel Puyol Garcia said. The new draft constitution will contribute to building a “stronger, more democratic and more modern Morocco where freedoms are enjoyed,” Puyol Garcia told MAP. He highlighted the main provisions of the new text, which were presented by HM the King in a speech to the nation on June 17, adding that this draft mirrors Morocco’s commitment to press ahead towards consolidating its democratic achievements. The Chairman of the Saragossa-based center commended the enshrining in the constitution of political, social, economic and cultural rights of the Moroccans living abroad, as well as the Council for the Moroccans living abroad. Puyol Garcia also welcomed the stipulation in the constitution of the official character of the Amazigh language alongside Arabic and commended that the new text provides for the creation of the Youth Council. The new supreme law of the nation, he said, ensures the separation of powers through the setting up of the Supreme Council for Judicial Power. The Hispano-Moroccan center aims at promoting dialogue and cooperation between Spain and Morocco, as well as fostering ties between the civil societies of the two countries through holding academic, political, economic and cultural activities.